Knitting: A pair of fingerless gloves for my mom for Christmas. I can mention that here because she knows about them. 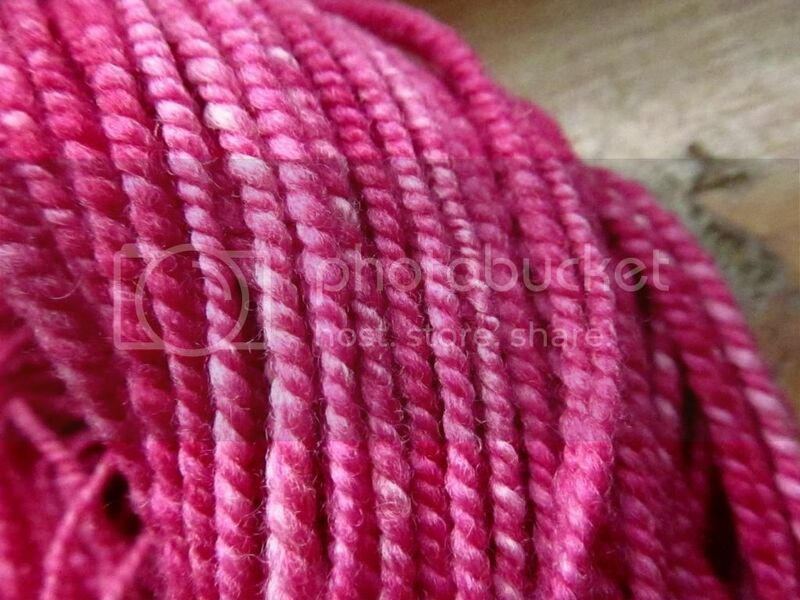 :) I spun this yarn to use for her gift, because she loves pink and I don't. She also picked out the pattern. I know I haven't been around the blog much this month, but I haven't had a lot to post about. Since I've been knitting Christmas gifts, I can't share those projects. I do have a few things lined up, but hopefully I'll get back in the swing of things after Christmas. I have some exciting new ideas and plans for the new year, including the possibility of a new Etsy shop! :) Anyway, more on that later. I spun this yarn from some fiber I bought at the fiber festival last spring. I don't know what kind of wool it was, but it's pretty soft. I spun it as a 2 ply and ended up with approx. 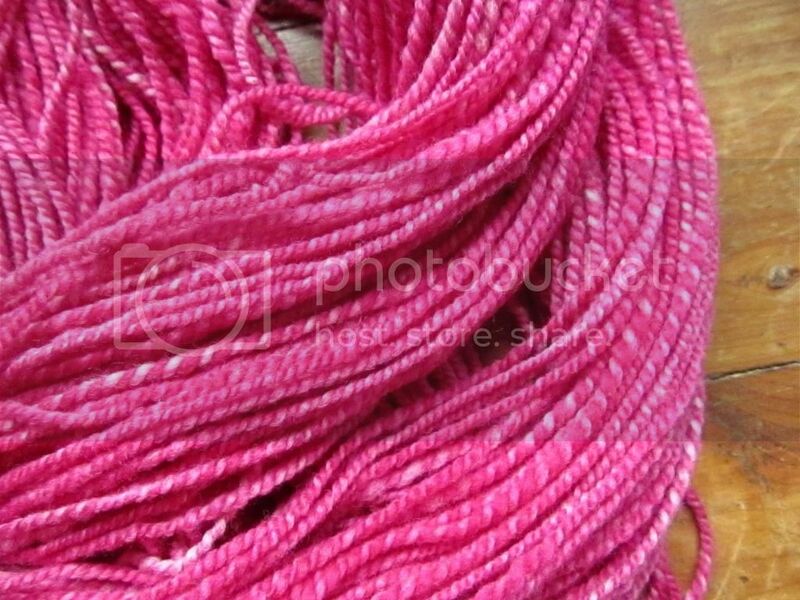 162 yards of worsted weight. I can't wait to hear your plans for a new Etsy shop! Glad you're liking Melissa's novel. It was a sweetheart of a story. I'm loving the book so far!